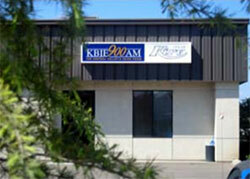 KBIF 900 AM has been serving the Central San Joaquin Valley from Bakersfield to Modesto since 1954. In the early 1980s KBIF Radio started broadcasting 24 hours a day, 7 days a week and serves the Asian community with Hmong, Punjabi/Hindi, Vietnamese and Japanese programming.? We are the Valley's most listened to Asian Radio Station....Become?our Friend on Facebook!! ?